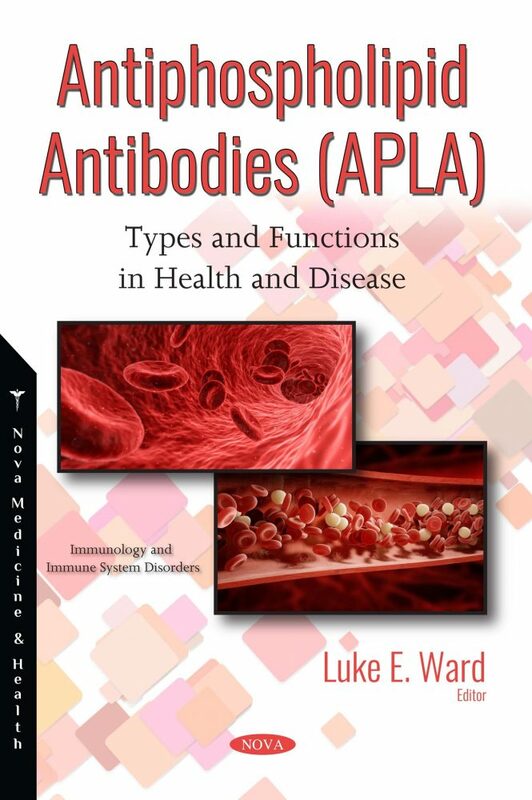 The opening chapter of Antiphospholipid Antibodies (APLA): Types and Functions in Health and Disease is focused on the modern immunoassays for the determination of aPL in biological fluids. The principles of these methods will be described and the possibility of their applications for aPL analysis will be mentioned. Next, the authors examine antiphospholipid syndrome (APS), a clinical disorder characterized by thrombosis and/or pregnancy morbidity in the persistence of antiphospholipid antibodies (aPL) that are pathogenic and have pro-coagulant activities. Two different strategies on the assessments of the aPL testings are indicated: quantitative assessments of the thrombotic risks using aPL profiles and new combination of aPL tests for screening APS diagnosis. This book goes on to discuss how in 2003, as a parallel to the seronegative rheumatoid arthritis and the seronegative lupus, G.R. Hughes and M.A. Khamashta introduced the term seronegative antiphospholipid syndrome (SN-APS). The diagnosis of SN-APS has been subjected to multiple discussions, disputes and investigations. The review presented in this collection summarizes the contemporary knowledge on SN-APS and its diagnosis and treatment and shows the authors’ experience in this field. In closing, the authors describe the current knowledge on the mechanisms of antiphospholipid antibodies -associated renal damage, the main clinical manifestations, diagnostic and therapeutic considerations in APS in renal patients and our experience in this group. Chapter 2. How Should We Test and Assess Antiphospholipid Antibodies?